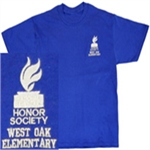 Stand out in this comfortable navy blue, short-sleeved T-shirt with a full color silk-screened NEHS emblem. Made of 100% pre-shrunk cotton. 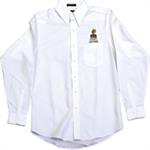 Comfortable yet polished women’s white button-down oxford Adviser shirt. Perfect for informal events and meetings. 60/40 cotton/polyester blend. Comfortable yet polished men’s white button-down oxford Adviser shirt. Perfect for informal events and meetings. 60/40 cotton/polyester blend. Preshrunk 50/50 cotton/polyester sweatshirt is available in your school colors. Select a sweatshirt color and a thread color for the NEHS logo. Have your school name stitched underneath the logo for a truly custom design. The minimum order is 12 sweatshirts of the same color. Please allow up to four weeks for delivery. Preshrunk 50/50 cotton/polyester sweatshirt. Select a sweatshirt color and a thread color for the NEHS logo. Have your school name stitched underneath the logo for a truly custom design. Minimum order is 12 sweatshirts of the same color. Please allow up to four weeks for delivery. Casual and comfortable is the hallmark of this longsleeved 100% soft cotton tee featuring the NEHS emblem in your choice of color. Minimum order is 12 shirts of the same color. Please allow up to four weeks for delivery. 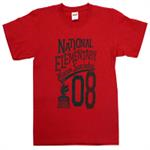 Comfortable 100% cotton T-shirt in your school colors. Select a T-shirt color and a thread color for the NEHS logo. Have your school name stitched underneath the logo for a truly custom design. Minimum order is 12 shirts of the same color. Please allow up to four weeks for delivery. 100% preshrunk cotton polo shirt. Select a shirt color and thread color for the NEHS logo. 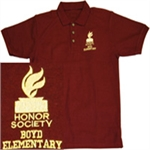 Have your school name stitched underneath the logo for a truly custom design. Minimum order is 12 shirts of the same color. Please allow up to four weeks for delivery. Enjoy this comfortable 100% pre-shrunk cotton T-shirt. 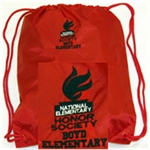 The design features the NEHS logo as well as ’08 for the year NEHS was founded.